The club was founded in 1966 by a small group of Ridgefield women wanting to make a difference in the community in which they lived. The Ridgefield Woman’s Club is a member of the General Federation of Women’s Clubs (GFWC), one of the largest international organizations of volunteer women in the world. 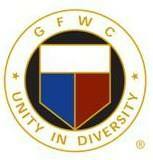 The RWC is a member of the State Federation (GFWC/CT), and our Club Motto is: “Real Women Care”. A To ACCEPT what we cannot change. C To CHANGE what we cannot accept. T To TRY our best in all endeavors. I To become INVOLVED for the good of our Club and our community. 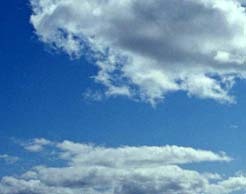 O To OPPOSE gossip, self-pity, prejudice, discrimination, hasty judgment, and fear. N To fulfill the NEEDS, not only of ourselves as women, but also the needs of those less fortunate than we. Each of these projects and many more are made possible by the Ridgefield Woman’s Club’s annual Craft Fair held each year the Saturday before Thanksgiving. “Membership in the Ridgefield Woman’s Club offers each of us a unique opportunity to become connected through service to others while helping to make our community a better place”.